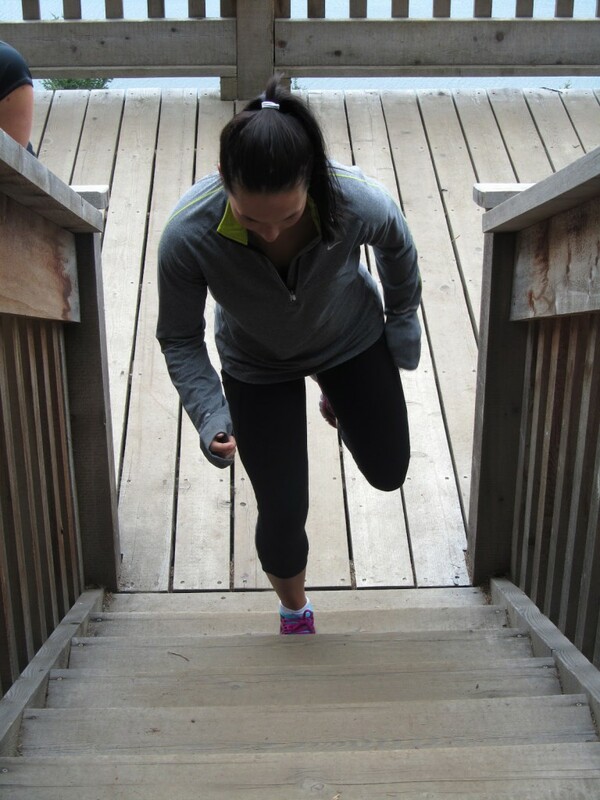 Your Stair-case can be your gym! 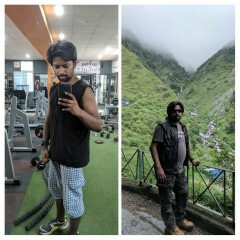 Stair-case is the best saviour when it comes to missing workouts due to time constraints/busy schedule/no access to gym and all possible reasons for not working out (of course, pains and injuries are an exception). Climbing up the stairs has many incredible advantages. It not only helps burn fat, but also strengthens the core and the lower body muscles along with improving stamina and endurance. 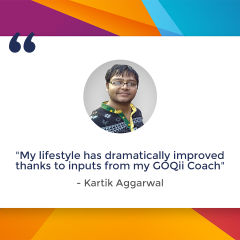 Check out the detailed benefits in Master Coach Luke Coutinho’s blog- https://goqii.com/blog/stair-climbing-one-of-the-best-exercises/. To make the stair workout adventurous and to prevent any possible chances of monotony, we can bring about certain variations and create a whole set of workouts on a staircase. 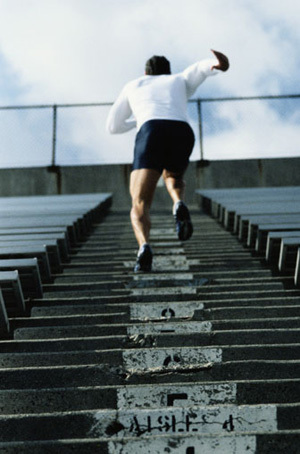 All you need is just enough stairs on which you can run continuously for 10 to 15 seconds. * Step ups are simple, like you usually do on the stepper. But, doing it on a stair-case requires an extra effort. * Make sure your knee doesn’t cross the toe. Apply maximum pressure on your heels to avoid any pressure on the knee. * If you have no prominent knee pain, you can speed up a bit. * Alternate the feet while you complete minimum 30 step ups. 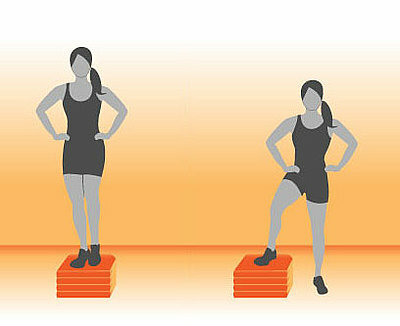 * Do the stable lunges first and then try out the jump lunges alternating the left and the right foot. This is fun, I tell you! * All you have to do is, sit on the edge of the first or second step with your arms shoulder width apart. Keep your legs straight on the floor.Take your bottom up by pressing your palms against the step and then lower down your rear until your arms are at about a 90 degree angle. 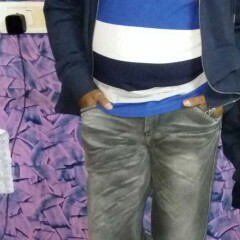 Continue with the up-down movement. * Jump up on stairs with both the feet together. * You can either keep your feet shoulder-width apart or keep both the feet together and hop. Maintain soft knees (slightly bent knees) and swing your arms backwards. Hop up the stairs and then come down walking. 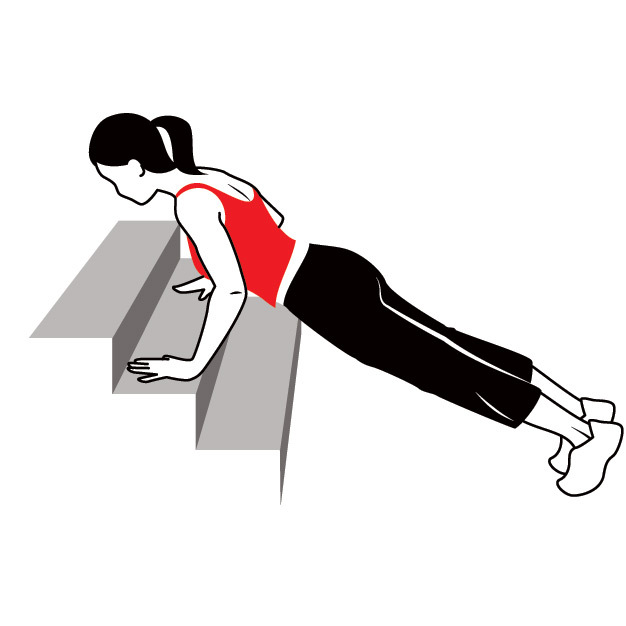 * Incline push-ups help strengthen your chest, anterior deltoid and triceps too. * Keep both the hands shoulder width apart on the step and extend your legs out. Maintain a straight back and feet close together and push push push!! * Keep your left foot on the left corner of the second step.Climb up with your right leg, bringing it to the right corner of the 4th step. You skate through the stairs this way taking two steps at a time. Swing your arms and skate your way through this leg burner. These 10 workouts form a whole set of workouts that train your upper and lower body both. Guess what? You have just turned a stair-case into a gym. You can perform a high intensity interval workout (HIIT) too using these stair exercises. Pick any 4 or 5 exercises, perform each exercise for 20 seconds with a 10 seconds break in between and repeat the entire cycle once again. 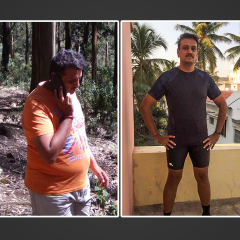 Believe me, you end up burning more calories in these few minutes than what you would have burnt in 1 hour of gyming. Safety first! If you suffer from any knee/ankle pain, please avoid the exercises that involve these specific joints.